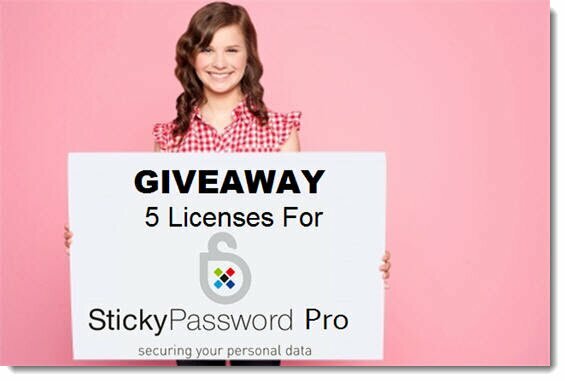 We are glad to announce that we are giving away five licenses to the fabulous password management utility StickyPassword Pro which we have reviewed earlier. The Pro license for StickyPassword, which would normally cost you $29.99, is being given away for free by Windows Guides in cooperation with StickyPassword. The licenses are valid only for one computer use. You can read more about this utility in our review of StickyPassword. I spend a lot of time out and about and am finding it increasingly difficult to get everything I want to done in my digital world when I get home in the evening. I got my first iPhone in 2008 and and am now on my third. The App Store works really well and I enjoy purchasing good quality, well supported, and frequently updated apps that help me get more done. I’ve considered purchasing an iPad ever since its launch but had a perfectly good laptop I could use. Now, my laptop battery life is just under 10 minutes and, rather than purchase a battery that costs about as much as the laptop is worth (or a little more), I bought a 16GB Wifi iPad. If you’d like to learn a new tip or two about Windows, you should check out our Quick Tip series. This collection of posts provides succinct information for every day PC tasks like setting Windows 7 as a Wifi hotspot, cleaning your dusty laptop with compressed air, muting system sounds while you watch movies, and starting IE9 with InPrivate Filtering enabled. Hint: Drag this link to your bookmarks bar to save it for later. Please note: For Windows support issues, please reach us directly at Windows Forums. A BIG thank you to Binverse for supplying the accounts for the competition! If you see your name but have not been contacted, please email binverse@mintywhite.com from the same email address with which you entered the competition and we’ll get you taken care of. If you’d like to see your name on Windows Guides and write articles that over 24,000 people are subscribed to, you’re just an application away. Apply by August 16th 2011 to be considered for a position starting September 1st, 2011. To get more details on writing for Windows Guides, head here and apply today: Write for Windows Guides.